I told a couple of friends that I was looking to lose a bit of weight in a short time and they all recommended the Atkins diet. I decided to start the Atkins diet, and it is much harder than I expected. Atkins is a low carb diet that basically eliminates 90% of my average diet, as I have stopped eating bread, cereal, potatoes, and every tasty snack known to man. The function of the Atkins diet is to lose weight at a rapid pace, and if an individual is healthy enough to maintain the stress on their body, this is one of the best ways to trim down quickly. The diet works by depriving the body of carbs, and forcing it to search for a new energy source, the body then turns to using fat as energy. During the first couple of days on this diet I found myself extremely tired, I really don’t enjoy the feeling, since I am not one who is a fan of lethargy, but I have since found different foods that I can use to boost my energy. I don’t expect to see instant results but this is a diet that is difficult to adhere to, so I hope I notice something eventually. I haven’t been on this diet long, but I really wouldn’t recommend it, I have been told that the first few days are the hardest, but I can’t see how anyone with an active lifestyle can be content with the lack of energy. A positive takeaway I have from going on this diet is the fact that my cooking ability has increased immensely, the lack of bread in my diet has shown me just how much I rely on it for sustenance. I will continue to give Atkins a try, but if it starts to adversely affect my daily life, I will have to stop and just modify my workout schedule. Many people workout for many reasons, some do it to stay healthy, some do it to look good, and others do it out of necessity. I like to look at going to the gym and working out as an activity that is fun and should be for everybody, but is not actually for everybody. Now Im not saying people should not workout, I think its very important to stay active. I think people should find the right kind of workout that they can keep up with and stick to, something they enjoy. I personally love working out, I have lost over 100 pounds doing at home workouts. I know many people who swear by at home workouts, I also know many who detest them, the fact that people can have such strong opinions on how others stay active is one of my biggest pet peeves. The human body is a very complex mechanism, many people like to base the limits of all human bodies on their own limits, without taking into account the basic diversities in all humans. I like to use a 300 pound football player as an example, many people would look at this individual and say “he is not fit,” but in most cases this individual can lift more, run faster, and have more endurance than a 160 pound body builder. The training regimens, and diets of each individual are very different, but both men workout regularly and are “fit” in their own right. I believe there is no “one right way” to workout, and people need to find what works for them, what works for their body and do it. I do not think the gym is for everybody, many people cannot find the time to go, or feel uncomfortable asking others how to use the different equipment. I am not going to say going to the gym will not work since any new level of activity, when done correctly, will produce results, but I will say it is best to research what ever regimen you decide to begin. I always say “preparation breeds success,” and the best way to get to any level of achievement is proper preparation. I will close this post by saying, if you want to work out, do it your way. There is nothing more annoying than an unpaid unwanted personal trainer criticizing your fitness choices. Today’s post is going to be a review, I will be reviewing a new device from a small startup out of Seattle named Pivotal Living. This company is very interesting in the fact that they are tackling fitness and wearables in a new and interesting way, they have decided to charge $12 a year for an app membership, and give away the fitness band for free. 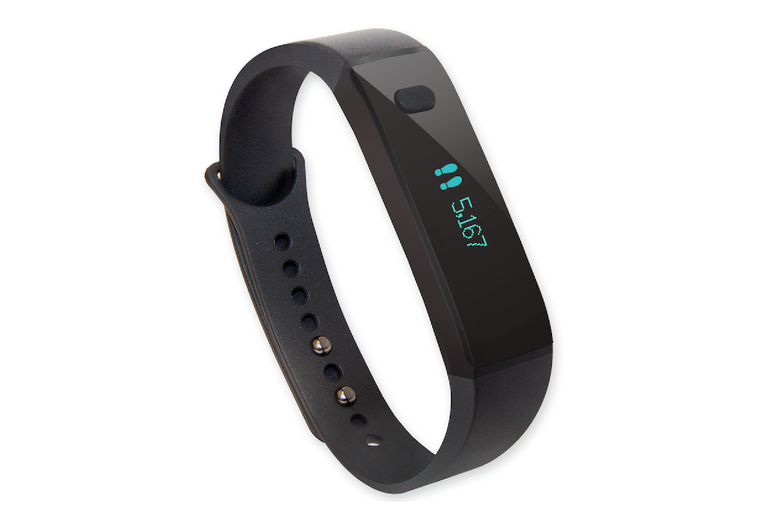 Late last year Pivotal Living released their new device and fitness application, known as the Pivotal Tracker 1. This device has been marketed as a fitness device for all, without the high price tag of some of its competitors. Our hardware engineers confirmed that for a small percentage of our member base, accumulated static electricity generated from friction between clothing fabric and the surface of the wristband and/or from spending long periods of time in carpeted spaces, may cause the Pivotal Tracker 1 band to randomly reset. That news was a huge bummer for me, I actually legitimately love using this device and hope they can come up with some sort of fix for this problem in the future. As for my review I would have to say it is a great device with a very low price tag, I would not recommend this device due to its current issues. I am rooting for this company, I will keep my band and hope for a fix. Keep an eye out for this company in 2015 bigs things will come of this software and device.